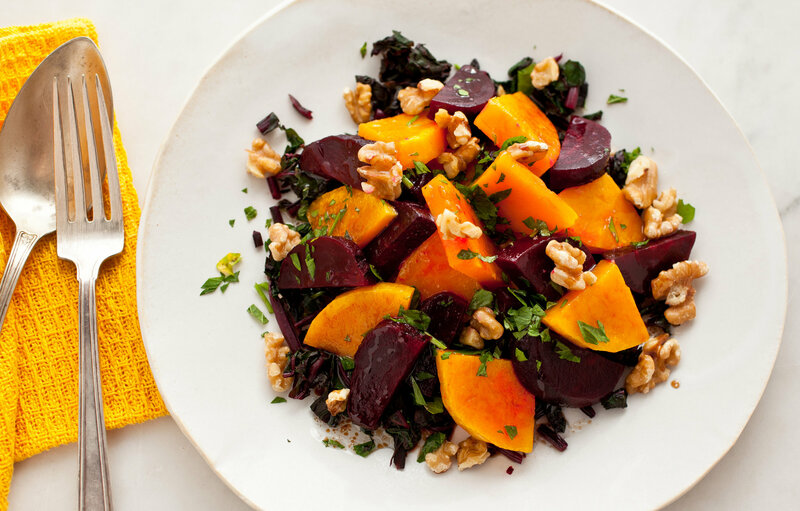 The colors of the vegetables were the inspiration behind this beautiful salad You may be fooled into thinking the orange vegetables next to the dark beets are sliced golden beets, but they are slices of roasted kabocha squash. ny times has a lot of really interesting articles. They all seem thread worthy. according to joey lucas, americans are eating more beets. The first time I ate beets, no one told me that it was going to make my excretions funny colors. Repeat this anecdote for kale and collards. One of the biggest high schools in Salt Lake: the Jordan Beetdiggers.